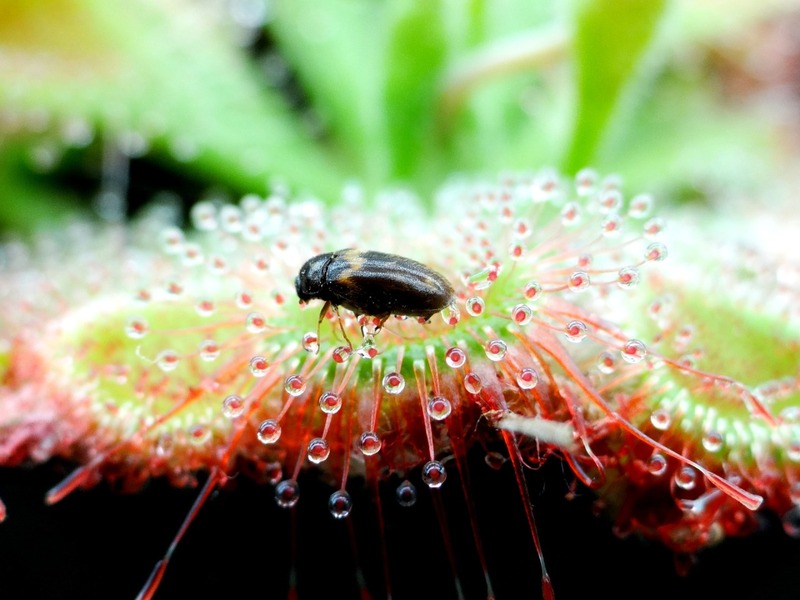 Carnivorous plant blogs you should be reading |Sundews Etc. 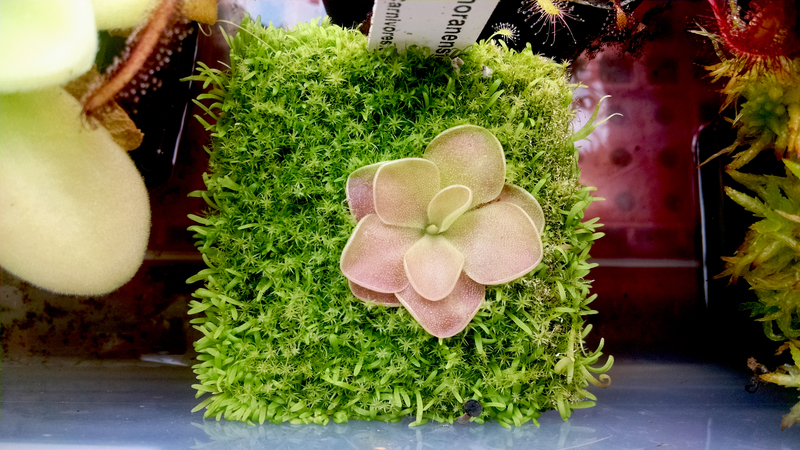 Pinguicula moranensis developing some nice scalloped leaf margins. The carnivorous plant community is bigger now than ever, but it's still pretty niche. That means there aren't that many blogs – especially compared to, say, gardening blogs, which are legion. Luckily a lot of new blogs have come online in the last year, and just recently several that appeared to have gone dormant have woken up. This post covers all the active blogs I know about – let me know if you know of any more! By the way, all the pictures in this post are of my collection – I'm including them to make the post more fun to look at. 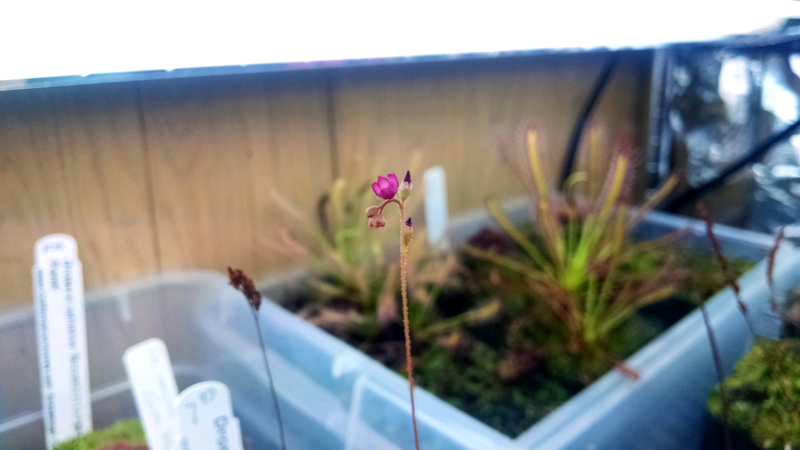 Very pretty color on this Drosera spatulata 'Kanto' flower. Between updates on his collection, field trips to carnivorous plant habitat, and growing guides this is a great all-around blog for the carnivore enthusiast. Natch has also expanded his little shop into an online nursery that has a particularly nice selection of terrestrial Utriculatria. A bit of a Nepenthes focus, but Natch grows everything. Maria has a lot of Venus Fly-Traps, and takes very cute pictures. She also hunts around for old drawings and engravings of carnivorous plants, as well as contemporary stuff. A fun read, and the only place I know of online where you can buy a Cephalotus throw pillow. Sarracenia x 'Abandoned Hope', displaying its classic "wailing of the damned" posture. A blog for the Sarracenia obsessed. Rob has a large hoop house and grows lots of anthocyanin-free clones, as well as some real weirdos. Updates usually once or twice a month, but the posts are loaded with pictures that make up for the waiting. Also has cool videos! An Australian Sarracenia blog that had been dormant for months and recently woke up. 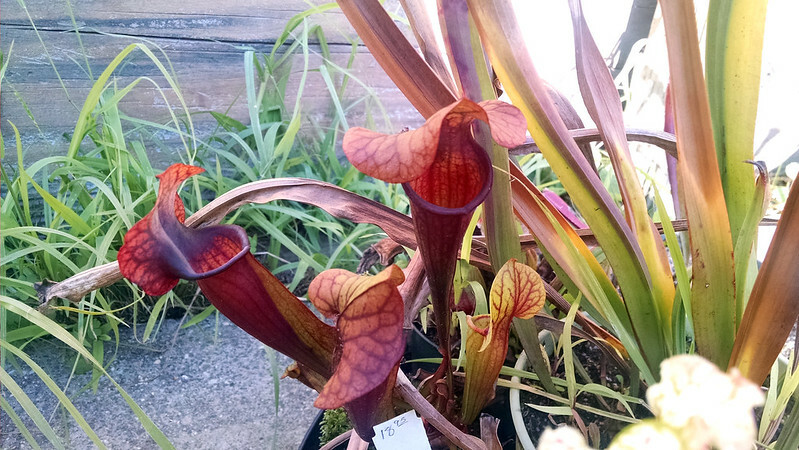 John is an enthusiast of Sarracenia flava, and he put together a great series recently on building artificial container bogs. As a bonus, his pitcher plants are awake while mine are dormant. 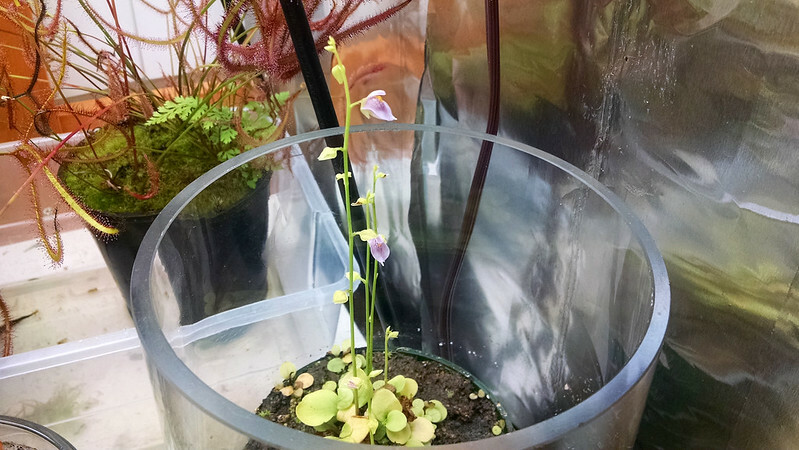 Carnivorous plants are not fragile, finicky plants that can't handle real-world conditions. 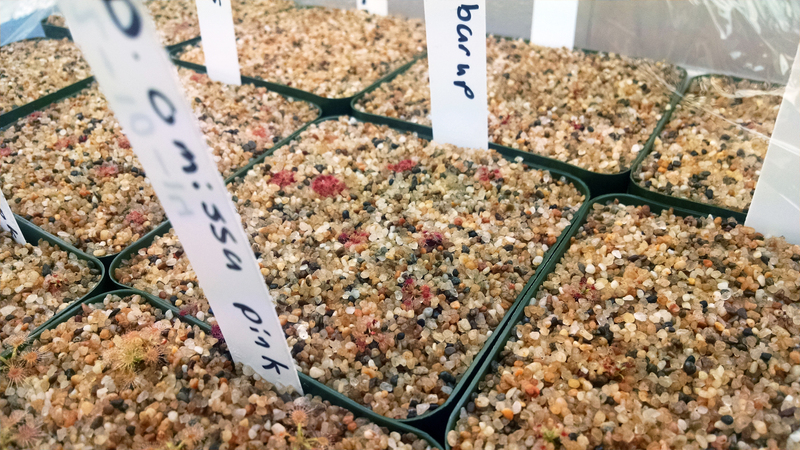 Carl proves that by growing Sarracenia, Dionaea, Drosera, and Pinguicula outdoors year-round in Ontario, Canada. Quite impressive, and the plants all look great. Another blog that has recently awoken from a long dormancy. Melody grows succulents, orchids, and other weird plants in addition to her Nepenthes, Sarracenia, and assorted carnivores. Lots of activity lately, and I hope she keeps updating! Lots of action on Drosera x Carbarup (along with other pygmies). Loads of phenomenal carnivore photography, especially crystal-clear macro shots of Drosera, Pinguicula, and Utricularia. I don't really understand how Tumblr works, but I love seeing the new photos. Highly recommended. These are all the active, established carnivorous plant blogs I know of right now. Let me know if you know of any more worth watching. If you're interested in blogging about your plants but don't know how to get started feel free to shoot me an email at sundews.etc@gmail.com. I'd love to see more blog action (especially if you grow pings or utrics, but really the more the merrier)! Not all super active, but always interesting. I didn't realize Predatory Plants had a blog! Thanks for the heads up. Unfortunately it looks like Nitrogen Seekers has gone private. I know he had issues with people stealing his images for eBay. I hope it goes public again soon – that blog was almost enough to make me want to grow Nepenthes. Here are a couple more blogs I know of! Hahahah whoops! I fixed the link. And thanks for the note on those two blogs, it's a couple more to add to the list. Hey thanks for the shout out Devon! There's a few blogs on this list I didn't even know about so thanks for the list from a readers perspective too. I plan to keep updating if people still care to keep reading. I really appreciate everybody who takes the time to check it out my blog, and everybody else out there taking the time to post updates about their own plants and keep me entertained! thanks for the frequent and awesome posts. !! !